The International Society for the Study of Narrative is delighted to confer its Wayne C. Booth Lifetime Achievement Award on Dorrit Cohn, who would have enjoyed being here, but is unable to join us today. 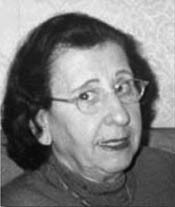 Dorrit Cohn’s work on the rendering of consciousness in fiction concisely laid out in Transparent Minds has been foundational for much of the subsequent development of narratology; terms like psycho-narration, dissonant and consonant self-narration, and autonomous monolog are useful to our work more than thirty years after Cohn proposed them. Similarly, Cohn’s insistence on the borderlines between fictional and non-fictional discourse spawned an indispensable vocabulary. To the story/discourse dichotomy, Cohn introduced the “referential” plane and the “data base” outside the text proper to which that plane refers. She has been a superb interlocutor for other major narratologists, most memorably and productively for Gérard Genette and Franz Stanzel. Dorrit Cohn is a superior reader of texts. She has given us unforgettable readings of authors we thought we knew and introduced us to several we might never have encountered otherwise. Indeed, her probing of the Molly Bloom monolog, her tracing of the narrator’s moves into and out of various characters’ consciousness in Mrs. Dalloway, her explanation of the appearance of K. have changed forever how we read Joyce, Woolf, and Kafka. Those readings are rendered in an English that is as elegant as it is clear. For colleagues and students, Cohn’s integrity is legendary. She never promised something she could not deliver, and she always followed through with what she promised. Her talents as an editor and translator of others’ writing have been preciously treasured by the beneficiaries. For her decades of service to the profession and for the many intellectual gifts she has given us, the Narrative Society gratefully bestows its Lifetime Achievement Award on Dorrit Cohn.